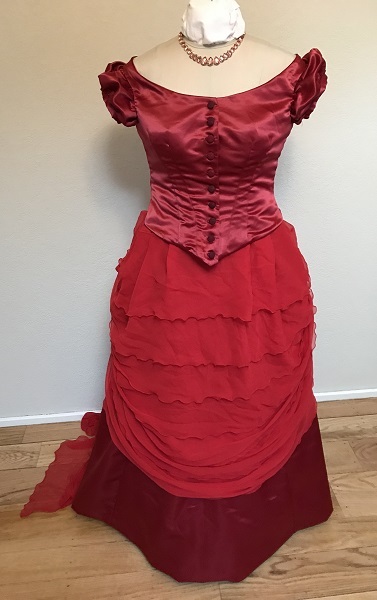 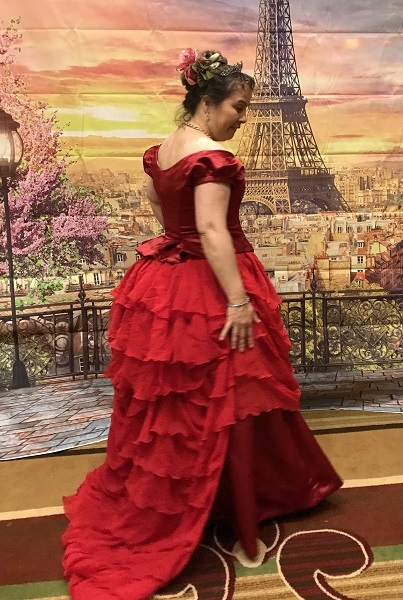 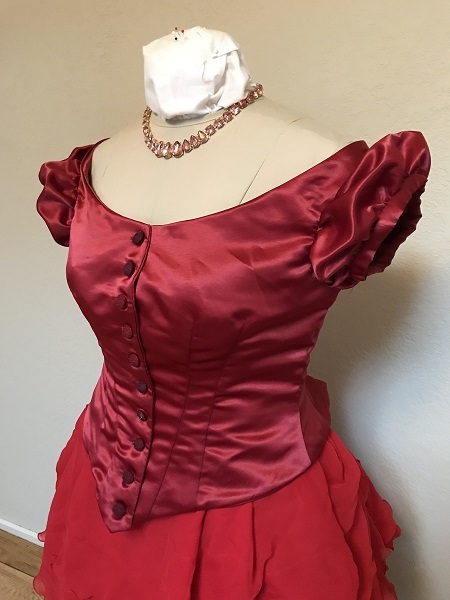 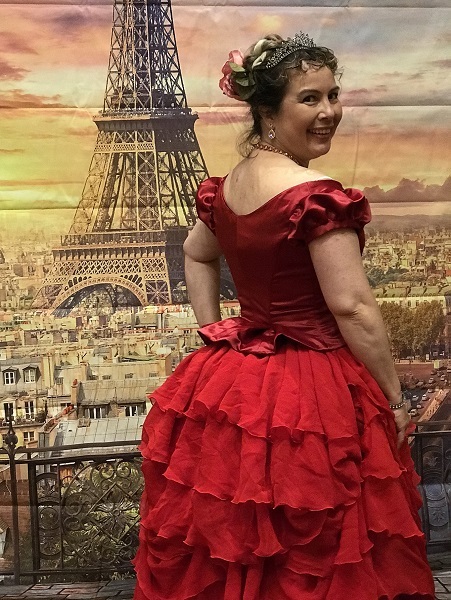 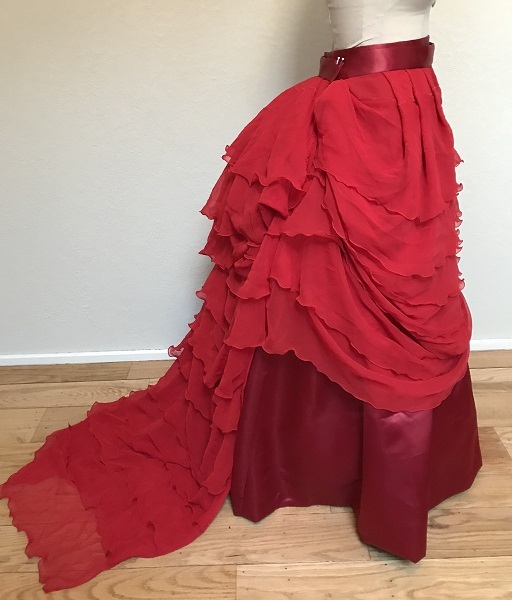 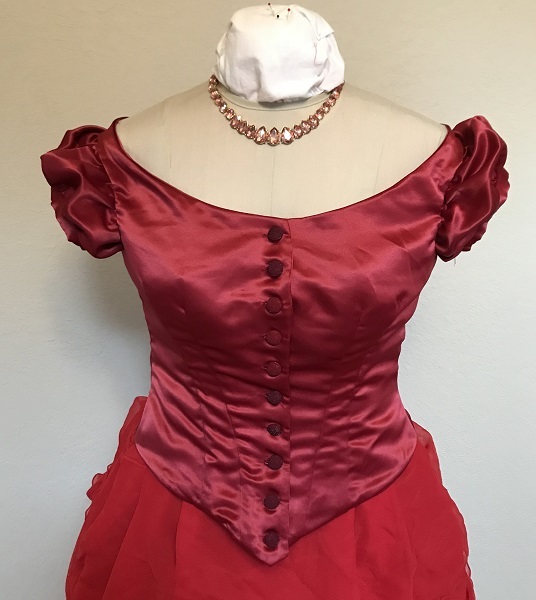 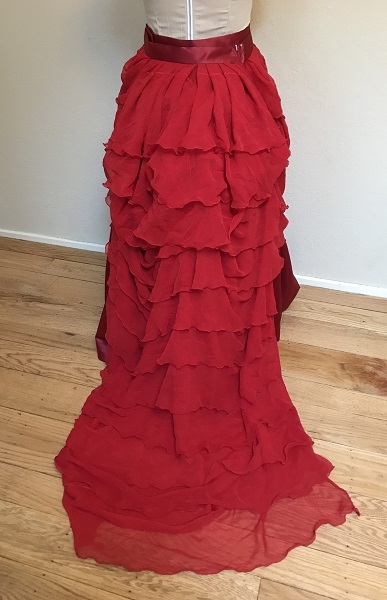 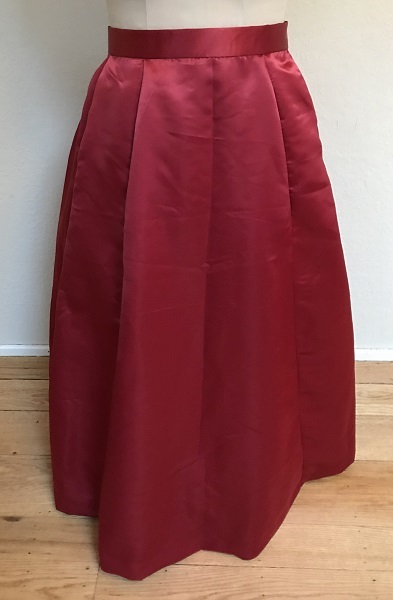 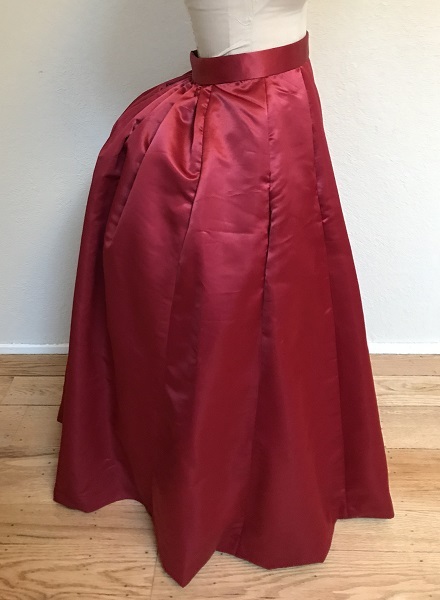 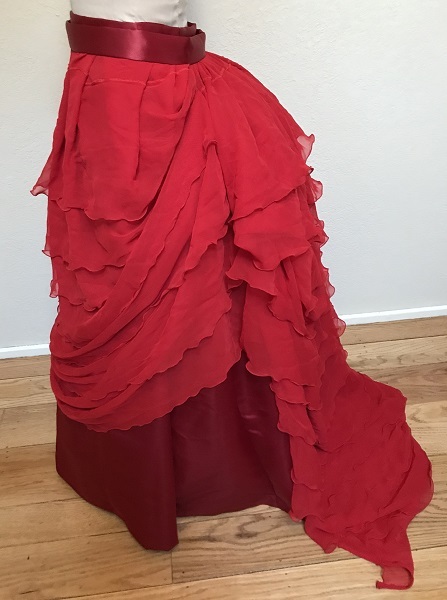 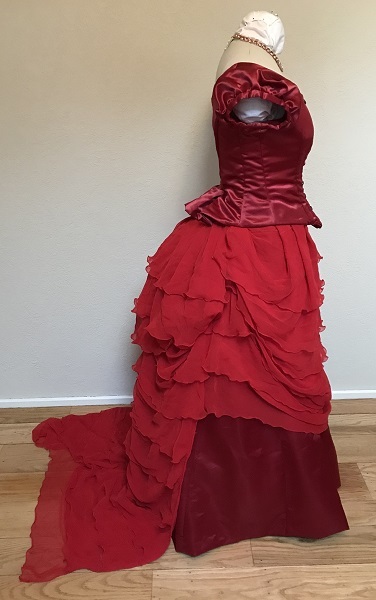 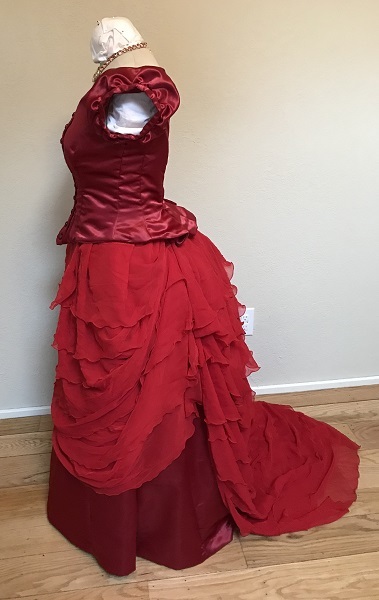 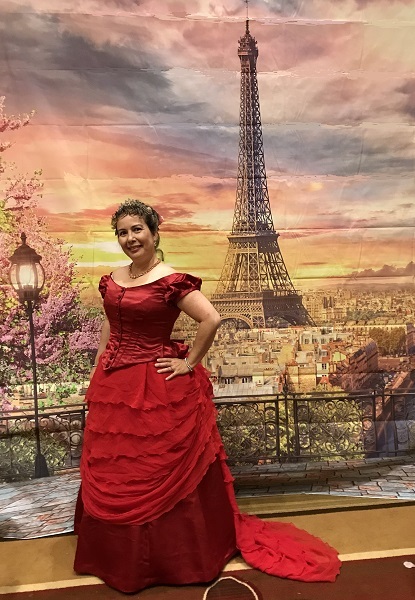 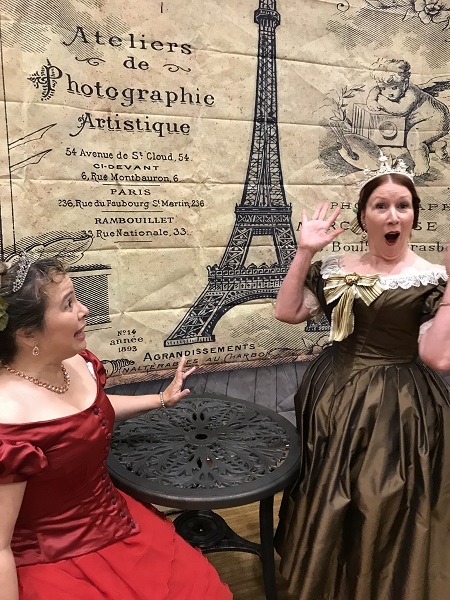 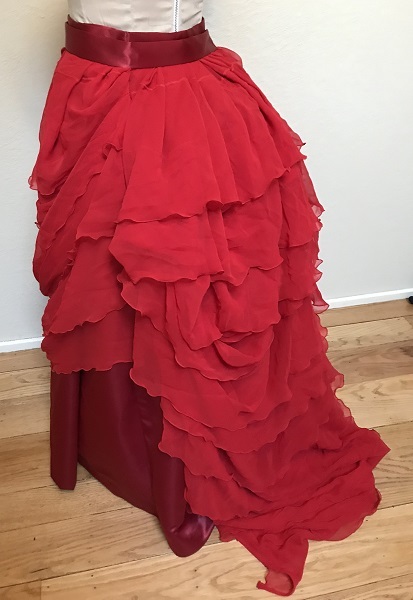 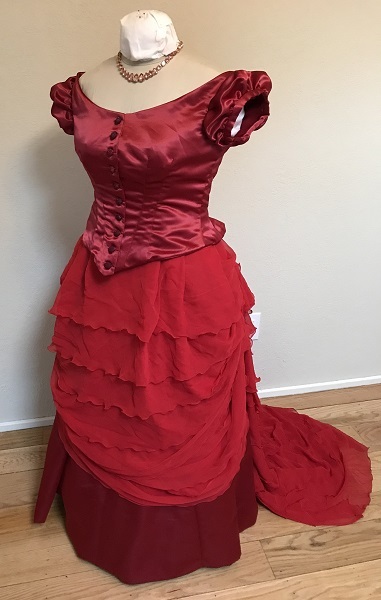 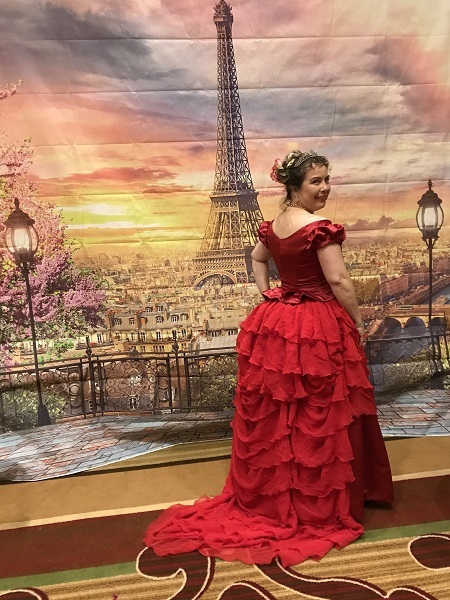 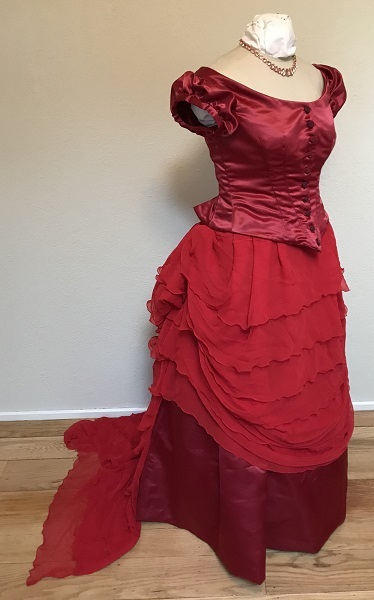 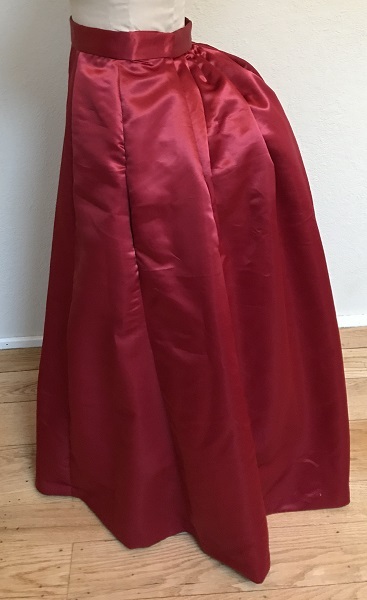 Reproduction 1870s red polyester bustle dress started as a bodice mock up for a different bustle gown and was finished to wear on Friday night social at Costume College 2018. 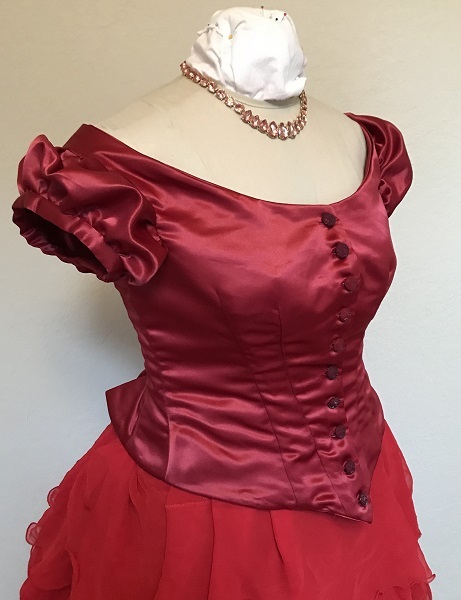 Red polyester bridal satin bodice has small puffed sleeves, buttons up front, back pleats, interior boning, bag lined with same fabric. 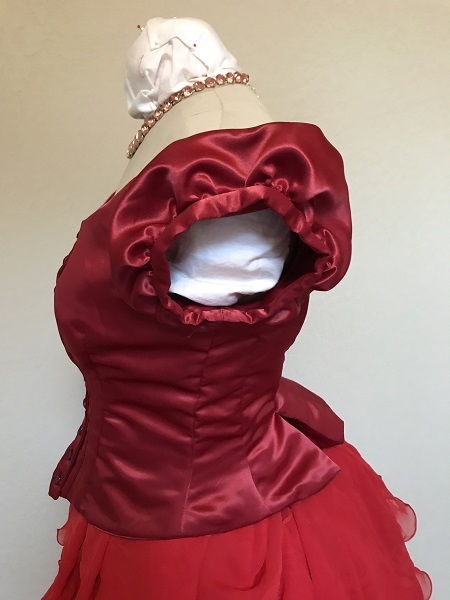 Used double wide seam binding as boning channels. 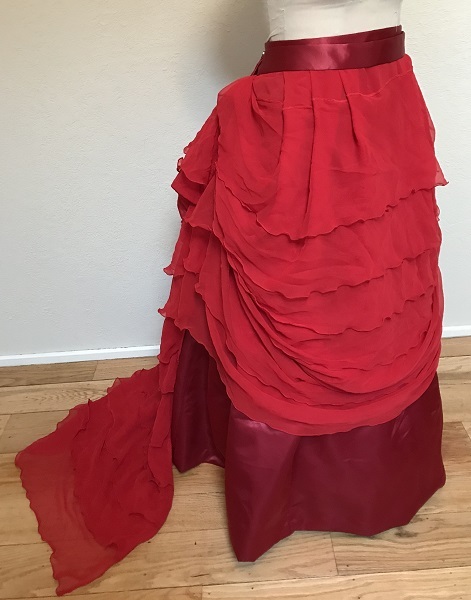 Pre-ruffled red polyester sheer is pleated up the side backs with back tacked in center and left flowing for train. 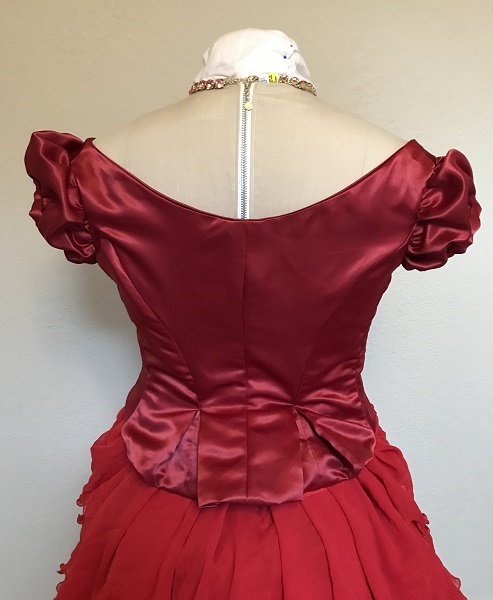 Pleated into red polyester bridal satin waistband with hook and eye on right back. 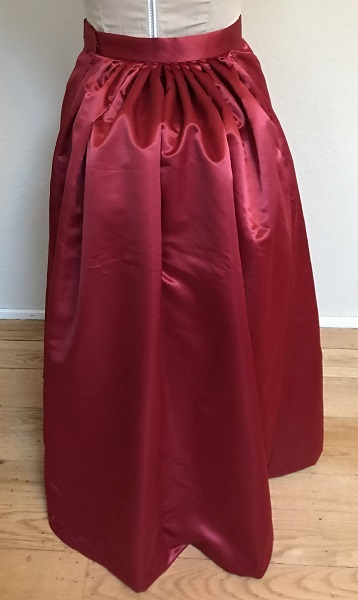 Red polyester bridal satin bustle underskirt has two hidden side pockets and back left hook and eye closures. 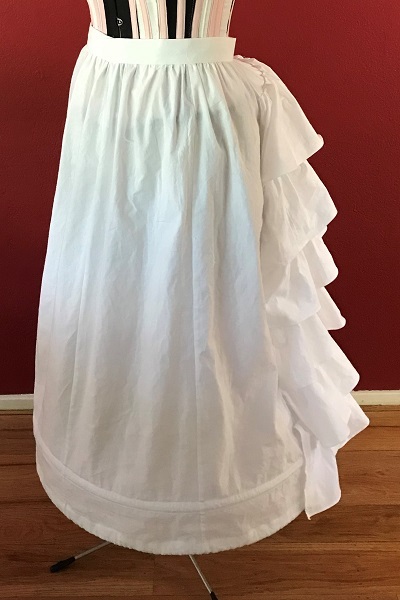 Pattern: Truly Victorian TV201 1870s Underksirt Size G. Instructions are mostly text and assumes user knows how to put on a skirt waistband. 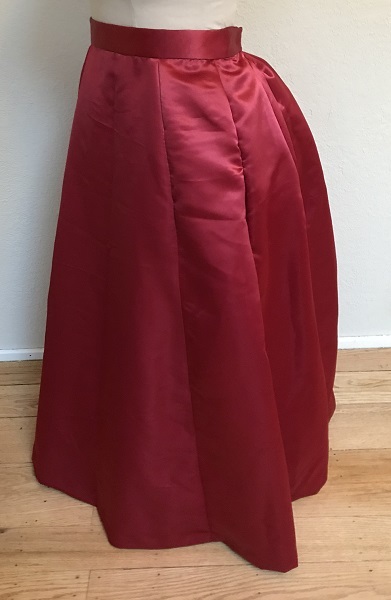 I used a lot of previous sewing knowledge for construction. 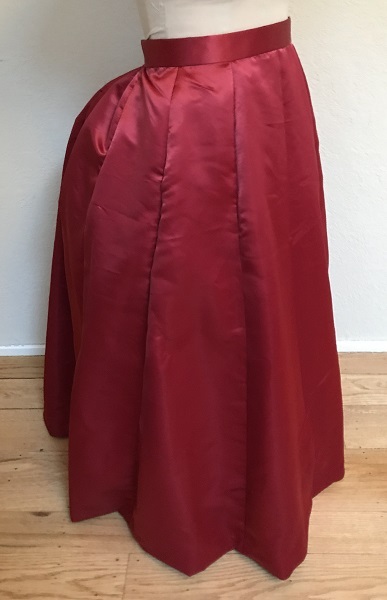 Shortened 1", added 2nd pocket, added interfacing to waistband, added back placket instead of overlapping 2" over back. 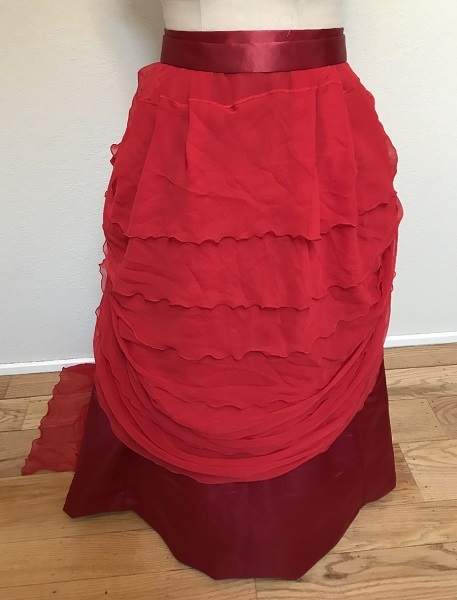 Made previously. 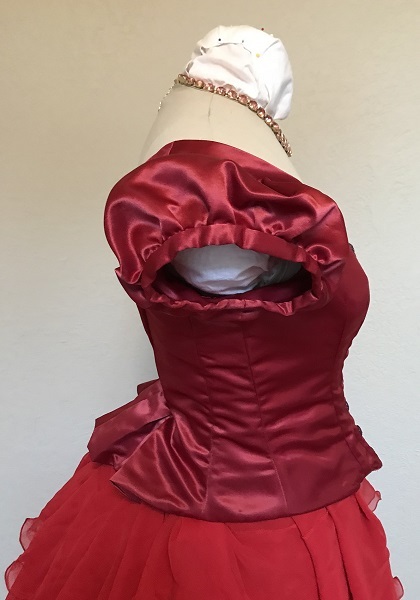 Shown as example of foundation garment. 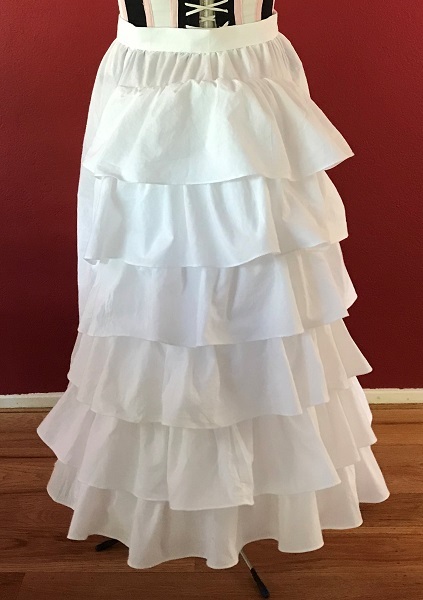 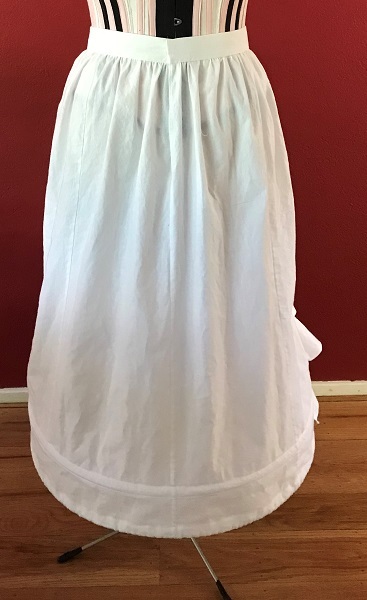 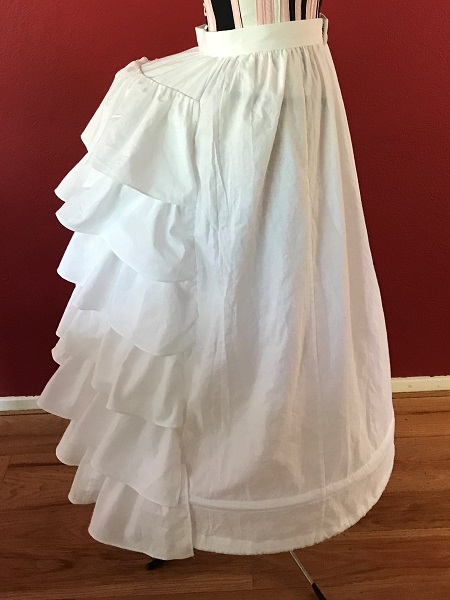 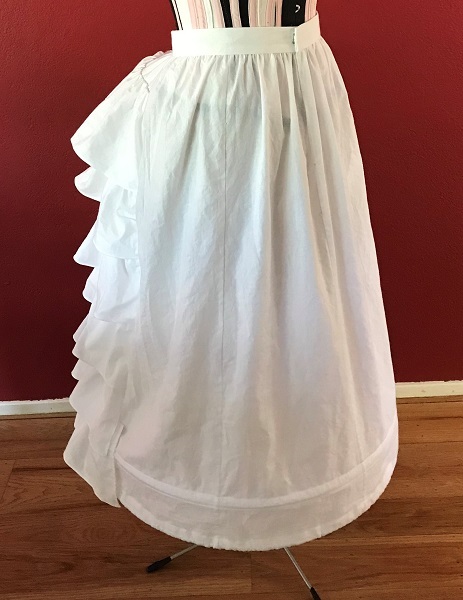 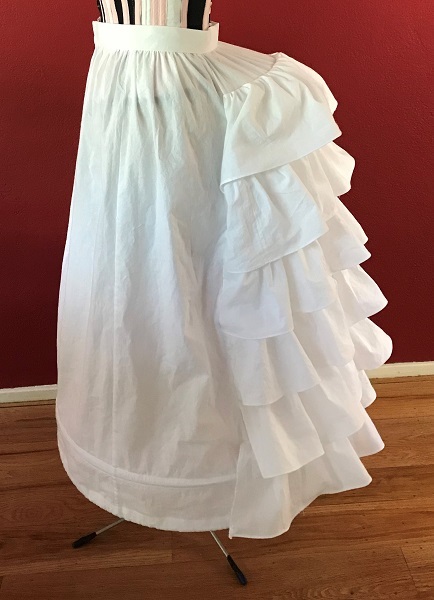 White cotton muslin grand bustle with hoops and flounce.